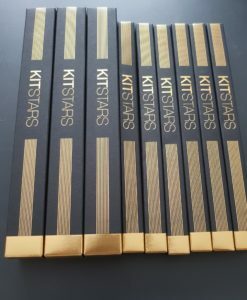 Kit Stars MakeUp Brushes launched in the UK at IMATS London in 2018. I was lucky enough to pick up a full set of these brushes which come in natural hair and synthetic vegan fibres. I have been using these make up brushes for about 4 weeks. 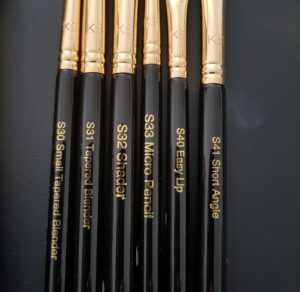 Kits Stars MakeUp brushes are great for professional jobs and personal use. They have stood up to being used for bridal parties, celebrity red carpet make up, one to one make up lessons and fashion photoshoots. 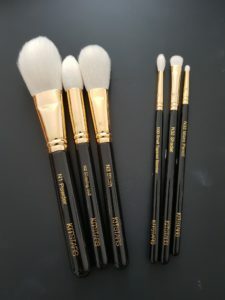 The packaging alone makes these makeup brushes look high end and I was sold when I saw them. 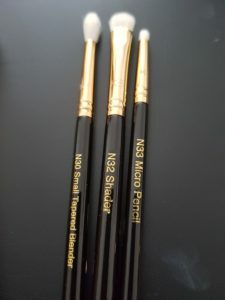 The black and gold individual boxes for these brushes give them a luxury look. When I opened them I was happy to see that each brush is individually wrapped in a sleeve inside the boxes to protect them and keep them clean. Each MakeUp brush is labelled easily with the Fibre ‘S’ Synthetic fibres and ‘N’ Natural hairs. There’s 10 brush head shapes altogether. 7 in both Synthetic and Natural hair and 3 just in Natural hair. I have used all the brushes to get the feel of them and I’ll definitely be adding more to my kit. The S4 Face Polisher is a dream brush, it’s super soft and makes liquid and powder application a breeze. For small or hooded eyes like mine the N30 or S30 small tapered blender is AMAZING!! 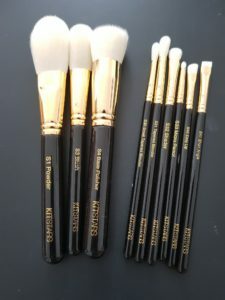 I have a huge collection of makeup brushes and these are great value for the quality of brush. 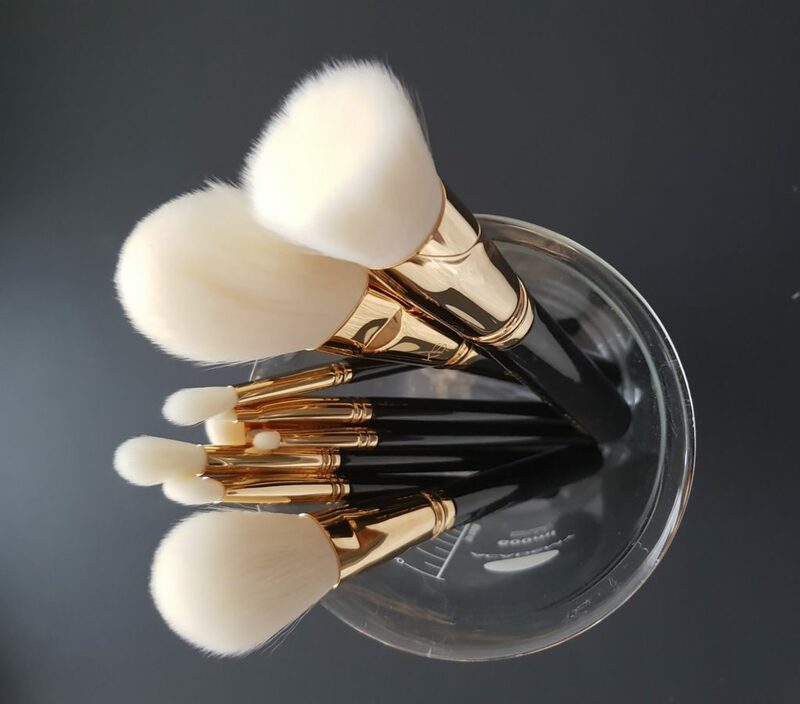 These make up brushes are easy to clean and they return to their original shape once cleaned. I have spot cleaned them with Pro Hygiene Collection brush cleaner and washed them with Da Vinci brush soap.